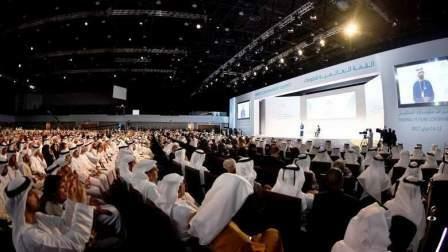 International leaders and celebrities will lead discussions at the World Government Summit, scheduled to start on Sunday. For the first time, entertainment celebrities including Robert De Niro, Will.i.am and Forest Whitaker, who adopted humanitarian projects, will give their addresses during the three-day summit, taking place from February 11-13. Renowned astrophysicist Neil deGrasse Tyson will discuss the fut-ure of space settlement. The sixth edition of the summit will also see Sheikh Hamdan bin Mohammed bin Rashid Al Maktoum, Crown Prince of Dubai, announcing the second edition of '10X Dubai' initiative, which is meant to develop a series of mechanisms among government entities to move Dubai 10 years ahead of other cities. Lt-Gen Sheikh Saif bin Zayed Al Nahyan, Deputy Prime Minister and Minister of Interior, will address the summit in a sess-ion entitled 'The Land of Inspiration and Opportunity'. Sheikh Abdullah bin Zayed Al Nahyan, Minister of Foreign Affairs and Int-ernational Cooperation, will discuss ways to develop the educational system to suit future jobs. Princess Haya bint Al Hussein, Chairperson of the International Humanitarian City, will also take part in the summit. Another highlight will see Dr Anwar Gargash, Minister of State for Foreign Affairs, in dialogue with political scientist Francis Fukuyama in the session 'Rewriting History: The New Virtual States'. Through 130 global speakers in 120 key addresses and interactive sessions, the summit seeks to create new models of international cooperation by leveraging new technologies to develop governments. This year sees over 4,000 personalities participating from over 140 countries, who will gather to discuss pressing issues facing humanity today and search for innovative solutions that enable governments to adapt to rapid changes. The summit will also review future developments in various fields including space, Artificial Intelligence, science, technology and medicine to ensure a sustainable future for young generations. As the guest of honour this year, India will be showcasing its experience to the world through the summit where over 100 delegates, officials and experts will be attending as part of Prime Minister Modi's delegation. India will review its distinguished experiences in various developmental areas through several sessions, including a session on the services sector addressed by Kiran Bir Sethi, founder of the Riverside School in Ahmedabad, who will offer a different learning experience. Another session on India's health development experience will be addressed by Sumitra Dutta, dean of Cornell Johnson School of Business; Dr Shamshir Vayalil, CEO of VPS Healthcare Group; and Anuradha Acharya, president of MapMyGenome. On India's experience in technology and innovation, a keynote session on 'Smart Applications with a Personal Touch' is being addressed by Deep Kalra, founder of MakeMyTrip. Other sessions that deal with various aspects of the Indian experience will include 'Will India lead the global economy in the fut-ure?' and 'Smart Solutions for Global Trade Lines', and a meeting with famous Indian author and new age figure Deepak Chopra.